After thinking about the hacking for a bit, I came to the conclusion that it was quite possible it wasn’t my email being hacked from an external location but that my PC had been compromised with a malicious program letting someone into it through a backdoor somewhere. I decided the only way I’d feel remotely safe on my PC again would be to start all over with a complete reformat of all my drives and a fresh install of windows. I decided to be very ruthless and only backed up photos and a few files I was certain weren’t touched. It’s been a pretty big job re-setting everything up to be as secure as I can and I’m hoping I haven’t left any weaknesses this time. I realised I still had ports open from when I was running my Ark server, so they all got closed, passwords to everything was changed to unique ones and everything that would let me have 2 step protection was set up. I almost have authenticators for my authenticators. 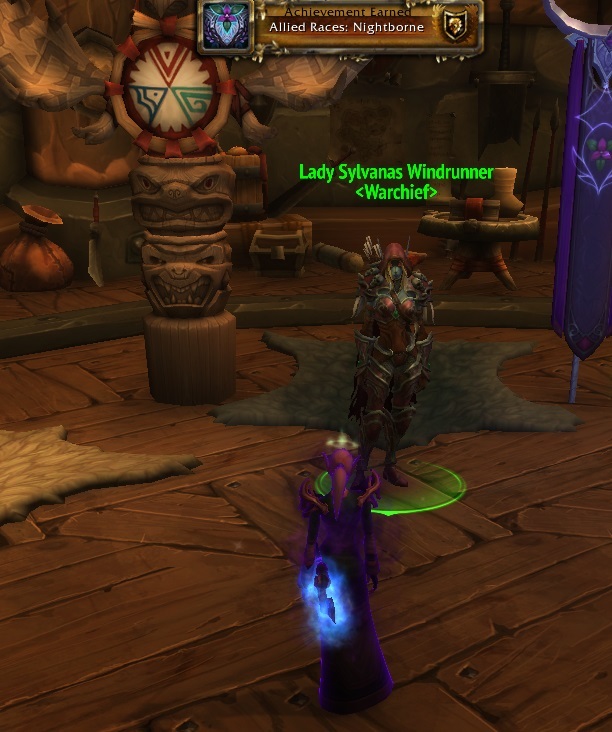 It’s taken me a week to get around to reinstalling WoW again but the lure of Allied races pulled me back tonight and I logged into Z at just the right time to see a call in my guild for anyone who wanted to go raid Orgrimmar. 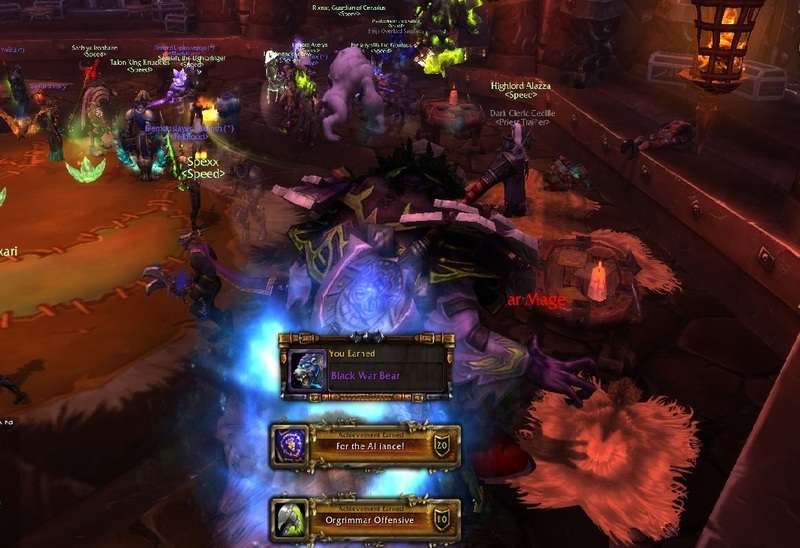 This was the last leader I needed for The Alliance achievement so I jumped straight onto it. 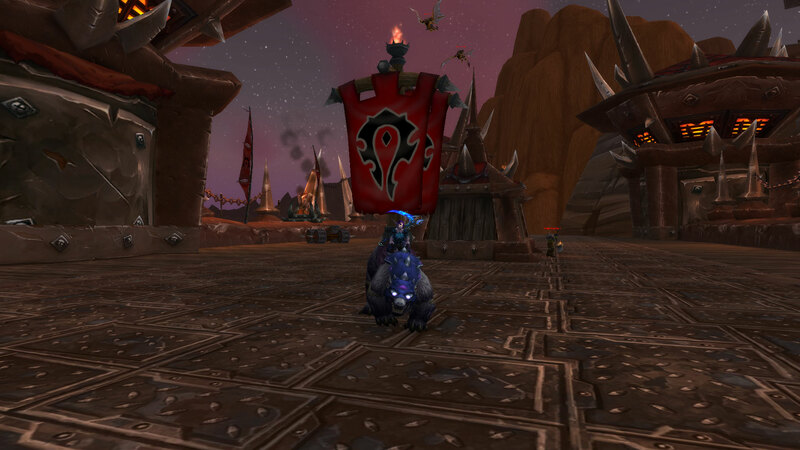 Orgrimmar was dead empty which made the raid go nice and fast and I collected my pretty Black War Bear. 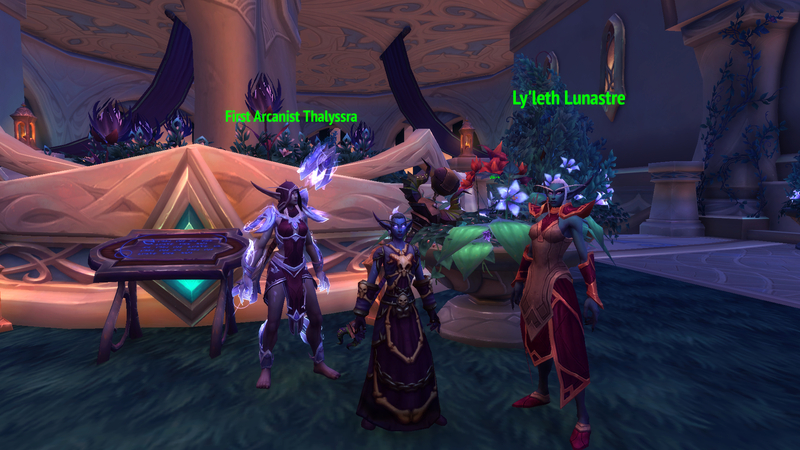 Then it was time to pick an Allied race to go try. 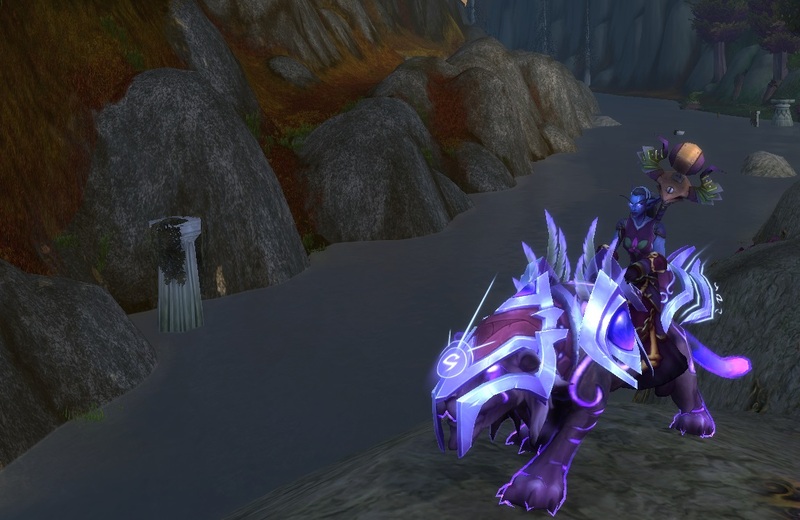 Void elves would have been my first choice but I haven’t quite finished unlocking their reputation requirement, so next up was Nightborne. I don’t really need any classes that the Nightborne can be on Horde side, so I ended up going with a Warlock. They’re fun to play and level and I figured somewhere along the line my new toon would have been studying the Legion and learning to control the demonic power for herself. What better way to seek revenge than to command the demons herself. I have no idea how long it’ll take to level but I’m interested in seeing what the new levelling is like. Maybe with the scaling I’ll actually stay in Outland and get through the entire zones as Horde this time. One thing I did lose that I regret a bit, is all my addons for WoW. It was probably pretty unlikely anything nasty was hiding in my WoW folders but I decided not to keep anything and didn’t back up any games. Now I have to start again with remembering what addons I was running and rewriting all the custom Tell Me When alerts I had. Over the course of so many years, my addon folder had bloated badly, so I probably don’t need them all reinstalled but I do want the main ones back but I’m having trouble remembering just what I did have. I know I had one that put a timer on all my spells so I could see how long they had left to come off CD but I can’t remember the name of it at all. Let me know what addons you run and can’t live without, so I can start building up my library again. For future reference – the Curse client (now part of the Twitch client) features a ‘sync’ feature that will effectively back up your addons and settings. As to whether it does so safely is anyone’s guess, they’re pretty opaque. But one hopes they’re not doing a file by file copy of the addons directory. The timer thingy for your action bars is probably OmniCC. I think the cooldowns actually got baked into blizzard at some point. Check the interface options built in to the game first before downloading addons.